Car in need of a little TLC? Book your service this month to avail of our discount. This September we are runing a discounted offer. 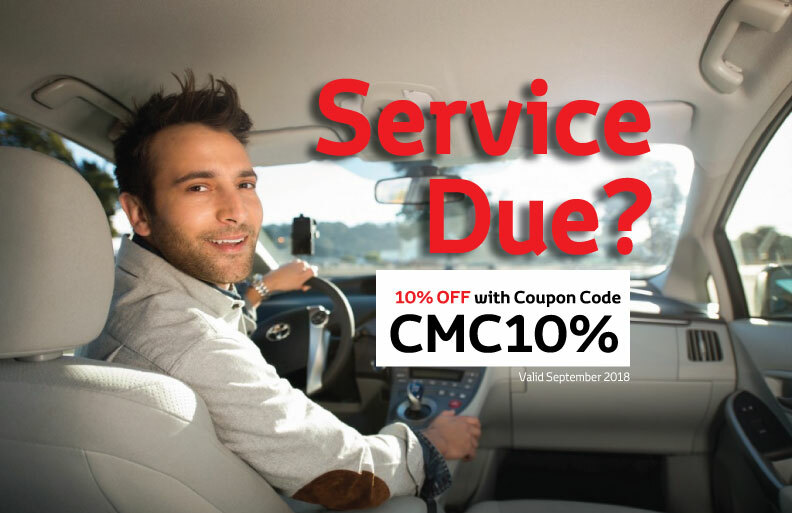 If your car is in need of a service make sure to book in this month to avail of our 10% on parts and labour. With the kids back to school and a definite change in the weather, now is the time to get your car in tip top shape for all those school runs, training sessions and trips to the shops. Did you know that different temperatures and weather patterns can affect your vehicle’s abilities, so it’s important that you take this time to get your vehicle checked out by our Toyota Trained Technicians to ensure it won't let you down when you most. When you book a service with Crossings you get peace of mind - In addition to a Quality Toyota Service, we will carry out a FREE Vehicle Health Check on your car to make sure that it is running at 100% at all times. We have a customer waiting area, with complementary WIFI and refreshments, so you can sit back and relax while we look after your vehicle.